Unics have a lead to defend in their home tie after winning the first game by four points. Unics were trailing at points in the opening game but they managed to rally strongly and the 68-72 win will certainly see them feeling confident about triumphing through this tie. You have to take on board that Unics are enjoying a strong winning run and with 9 wins on the spin, the Kazan fans will feel that this is a tie that shouldn’t pose too many difficulties. With respect to Eurocup games, Kazan haven’t tasted defeat since December. If they can hold this record now that we are in March, they will make it through but of course, a very narrow defeat will be enough for Unics to make their way through to the quarter-finals. This would leave for a very nervous finish at the end of the game for the home fans but as long as you make it through in the end, it doesn’t really matter how you got there! Quino Colom was the key player for the hosts in the opening game and the double-double of 17 points and 11 assists had a big impact on the game. Keith Langford managed to provide 19 points in the win while Latavious Williams offered up 15 points and 8 rebounds in the win. For the losing side, Mateusz Pontika grabbed 21 points and if he can do the same again this week, this may be a game that goes right down to the wire. One thing that will give Gora confidence is the fact that they achieved a win in Kazan in the not-so-distant past. In the regular season of the 2012/13 season, Kazan triumphed 76-91 and that would be more than enough to see Stelmet through to the quarter-finals. 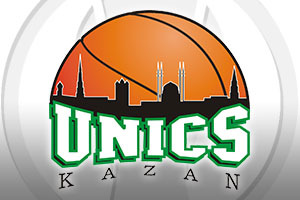 The bookmakers fully back Kazan in this game and you can take Unics Kazan at -13.5 with odds of 1.90 in this one. For the Over/Under market, you should look to go OVER 149.5 at odds of 1.90. Bet Now!